No, they are not coming to open a REAL Tex-Mex Restaurant...UNFORTUNATELY. And no, they are not coming to smuggle in a stash of JIF Peanut Butter.... Again, UNFORTUNATELY. But actually the real reason they are coming is far better than my first two suggestions! But of course travel is expensive and although I knew we would have teachers that wanted to travel FROM Herning, I was not sure how I was going to attract other teachers TO Herning. But..... you never know until you try! I received the approval to run with this idea and just see what the response was. Ideally, I wanted to pair teachers up so that, for example, a Chemistry teacher from our school could partner up with a Chemistry teacher from another country so they visit each other's schools and classrooms to see other ways of bringing the Chemistry curriculum to life. Talk about a WIN-WIN situation, right? And while they happen to be visiting each other countries, they could also get the chance to see other subjects taught, visit the sites of the local area, AND most importantly, get to know the "locals"! So actually, this is a WIN-WIN-WIN-WIN situation! My first stop was M... a math teacher at our school who, after having taught & traveled with one of our Seattle classes, had already expressed an interest in participating in something like this in which he could have the opportunity to "see math done" in other places as a way to strengthen his own teaching. He agreed to participate immediately, so I just needed one more because my idea for this first year was to start with 2 teachers and see how it went.... My next stop was E, a Chemistry teacher who, like M, is also working with one of the Seattle groups... and amazingly enough, after hearing my ideas, he too was in! What about dates of travel? So many logistical things that could really eat up my time unless I could narrow my focus a bit. We already have a strong relationship with Edmonds Community College north of Seattle, so I wondered if they had ever done something like this? May as well give it a try. Come to find out....they had not, but after I pitched my idea, THEY WERE WILLING TO GIVE IT A SHOT! So now their work was to find out "Who wants to go to a Danish Gymnasium in Herning, Denmark??" So the title of this blog is "VISITORS COMING TO HERNING" so SOMEONE must have volunteered, right??? Guess we are about to find out! Stay tuned! What a fabulous idea! 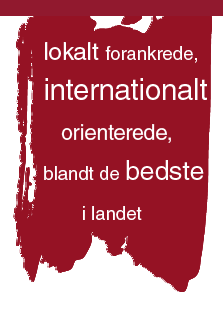 You know yourself how much you´ve learned by experiencing the Danish school system compared to the Texas system...and anything that brings back the spark in a teaching profession and gives them new ways to look at things and possibly do things is great!!! I admire your ability to get all these neat projects off the ground in your new country! You are amazing!! So proud to know such a clever, intelligent, and fun lady!! How exciting! I just wrote a paper about this subject. Maybe I should do a semester in Denmark for further research and my intern hours LOL!! Great job and I bet the hard work will be worth it. That is so exciting! I've had some very good experiences at the community colleges around here. It's awesome that one of their profs is getting to do an exchange.